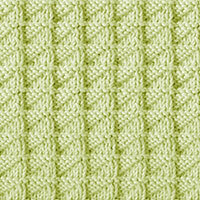 Cast on a multiple of 5 sts. 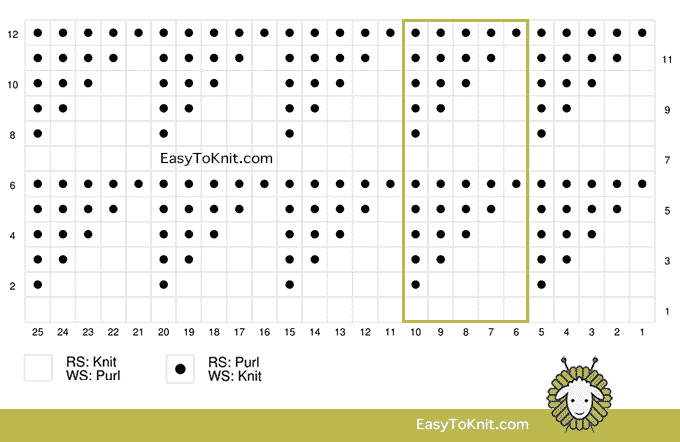 Row 2: *Knit 1, purl 4, repeat from *. 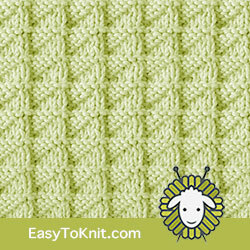 Row 3: *Knit 3, purl 2, repeat from *. 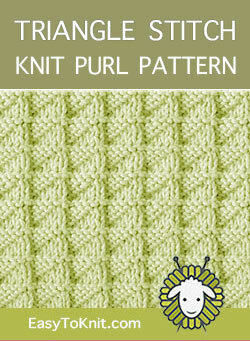 Row 4: *Knit 3, purl 2, repeat from *. 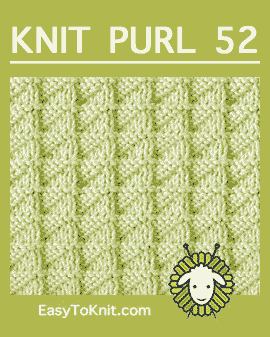 Row 5: *Knit 1, purl 4, repeat from *.